VLC media player is the most popular media player all over the world , it is free and it provides lot of features than any other media player and some time people even don’t know about all the features that provided by the VLC media player .The most exciting feature that VLC media player provide that we can zoom videos in the VLC media player and one feature is too play youtube videos in the VLC media player , it also have great set feature which you can use too improve and change the audio quality of video in VLC media player .This feature have many predefined setting’s which you can use to improve and change the quality of audio like it have a setting POP,Large Hall ,Rock and many more , you can also set setting’s according to your need .These all setting’s will enhance your audio quality and you will have a great audio experience while watching videos . 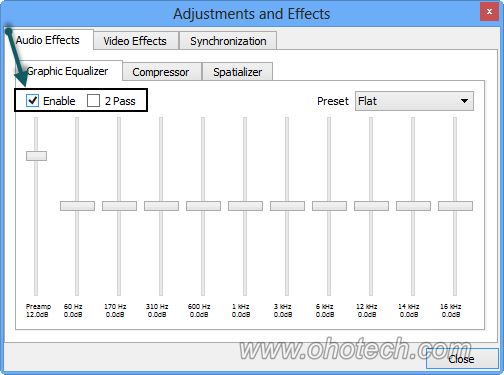 VLC media player have lots of set feature one feature is to improve and change the sound quality of video in VLC media player , let see how to do this . 1.) 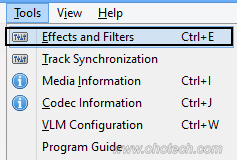 Open any video in VLC media player then from Tools option click on Tools and Effects option or you can use shortcut CTRL+E to open Adjustment and Effects window ,see below image for more detail . 2.) 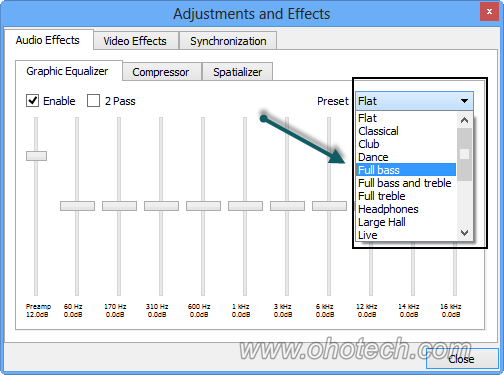 Now in that Adjustment and Effects window you will have a Graphic Equalizer Tab and in that tab you have two option of Enable and 2 pass , you need to check Enable option to use Graphic Equalizer and check 2 pass if you want sharper effect from the equalizer , for more detail see below image. 3.) After Checking the Enable option you will have Preset option there and from the drop down menu of the preset choose the different preset to change the sound quality .You can choose Full Bass , Full Bass And Treble , Headphone and many more option from there to change the sound .See below image for more detail. You can also set you own setting’s by moving slider up and down , once your are done with your setting’s close Adjustment and Effects window .I hope you like my this post , if you can have any query please leave comment and don’t forget subscribe to my blog .